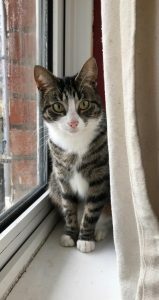 Missing small tabby and white cat. Last seen midday 6th Feb. Very unusual for her not to come home at tea time!